David Hurley is a San Diego based drummer and percussionist. He's the drummer in the rock band Astra (whose debut album I also reviewed this issue), and he's joined on this solo outing by some of his Astra band mates as well as other players. Hurley's solo interests, however, lie not in rock but in avant-garde jazz. 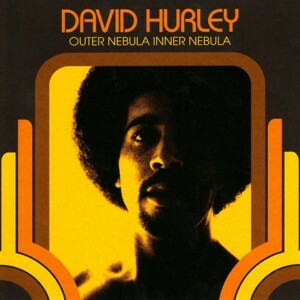 Hurley is inspired by the great spiritual and spacious jazz explorers like Sun Ra and Alice Coltrane, but where those artists used keyboards as their starting instruments, Hurley builds his pieces with a seemingly unending palette of different types of percussion including congas, marimbas, bells, shakers and gongs. Hurley and his friends unleash fantastic and unruly storms of strange, eccentric, and exotic rhythms through which run slippery alto sax melodies, chaotic flute trills, touches of piano and organ, spacey Moog synthesizer drones and gurgles and exhilarating, primal vocalizations. It all amounts to a truly heady brew of mythic music magic. This is wild, cosmic jazz of the first order. Fans of the above mentioned artists should not miss this!